The holiday season always looks best when painted with a geek brush. I bet many of you will agree. Though I drool over pictures of elaborate gingerbread constructions I've never made anything more complicated than cutout cookies. 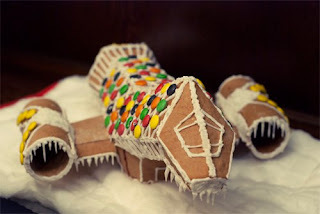 One year I'll create a gingerbread diorama of the Rebel Base on Hoth. 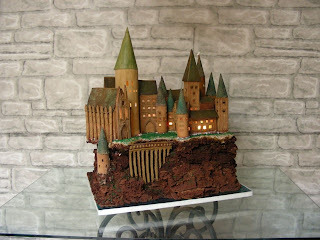 Until then, I'll keep drooling over the creations people much more talented and patient than I make. 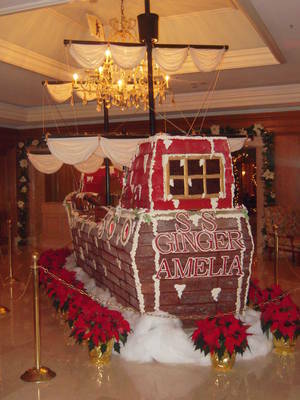 Gingerbread pirate ship that has a very Amy Pond sort of name! 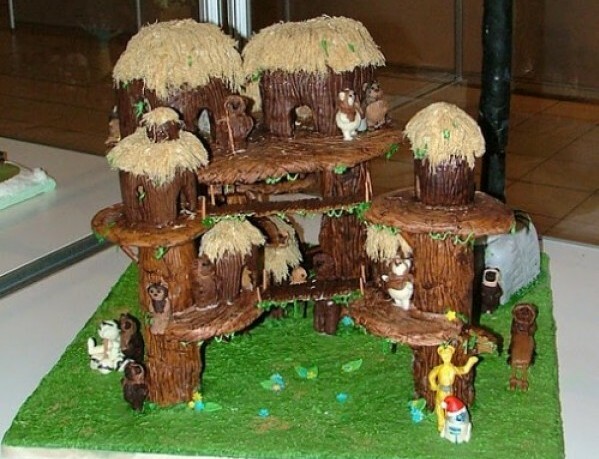 Three thousand eggs were used to build this. That's a lot of hens. It's quite a party on Endor. After the cameras left the celebration, they broke out the gingerbread, icing, Rice Krispie treats, and apparently, all the fun. The best part may or may not be biting off Ewok heads. 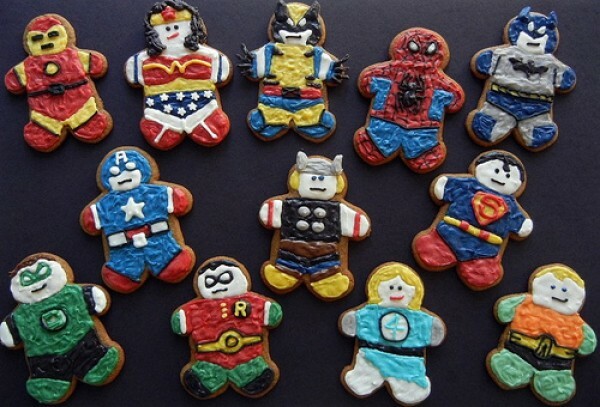 Even gingerbread superheroes wear their underwear on the outside. If I had a gingerbread typewriter, I wouldn't get any writing done. I would procrastinate by eating. Wait - I do that anyways. My second favorite ship looks beautiful when decorated with candy. It probably tastes much better than the "chocolate" cake Kaylee made in Out of Gas. 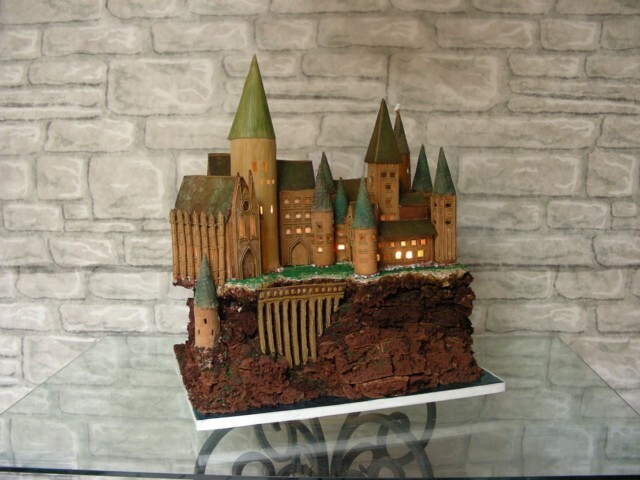 Castles are an ambitious project, but this replica has it all. Yeah, it lights up. I wonder if the staircases move. 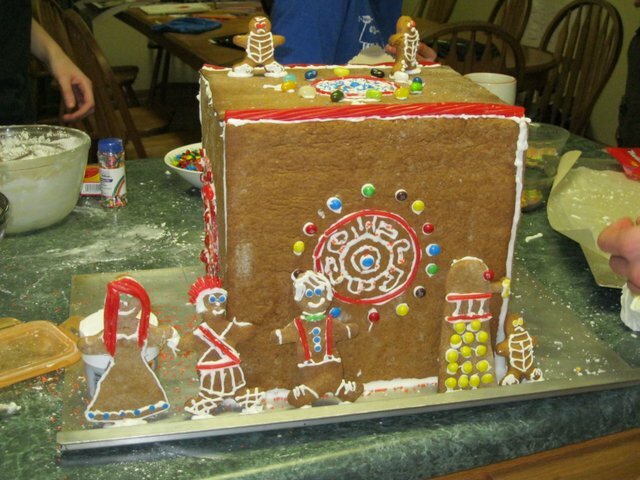 Who eats the Pandorica takes the universe! Who's coming to take it from me? This made Monday much better! Alysa - Love the Doctor Who Gingerbread! 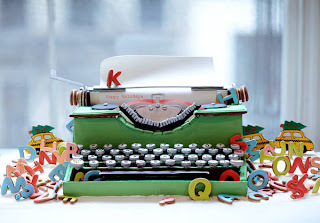 After you accept registered a abundant area name and created a professionalize website, in adjustment to accomplish it be attainable via WWW you will additionally charge to look about for a acceptable web hosting company. This is because web hosting, a behemothic computer affiliated to the internet mysql backup allows your armpit to be arresting on the Apple Wide Web, after the abutment your armpit is airy to bodies from added abode at the added ancillary of this world.